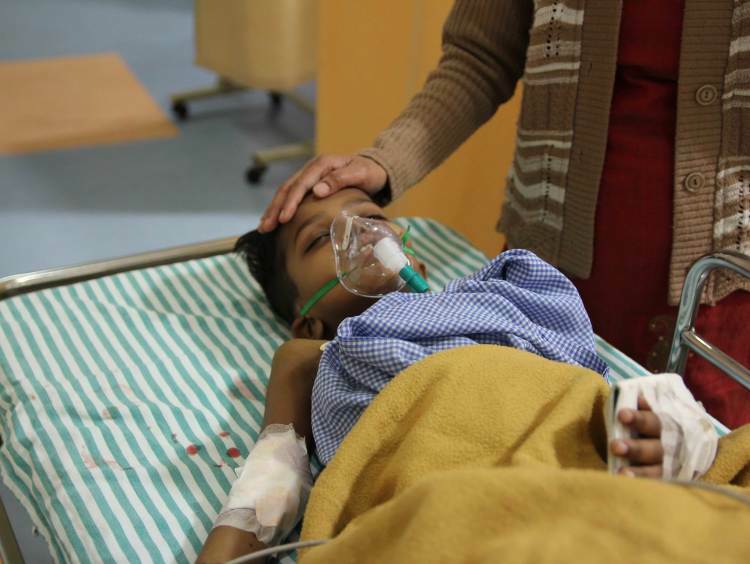 “For the past one month, Anvay has been in the hospital and there hasn’t been a single day without fever and cough. He barely manages to eat some rice, and immediately vomits it all. Unable to bear the pain, he cries all day and refuses to talk to anybody except me” Hema, Anvay’s Mother. When Anvay was about 1 year old, he started suffering from repeated bouts of fever that refused to go away for days. Scans and tests revealed that he was suffering from Blood Cancer. 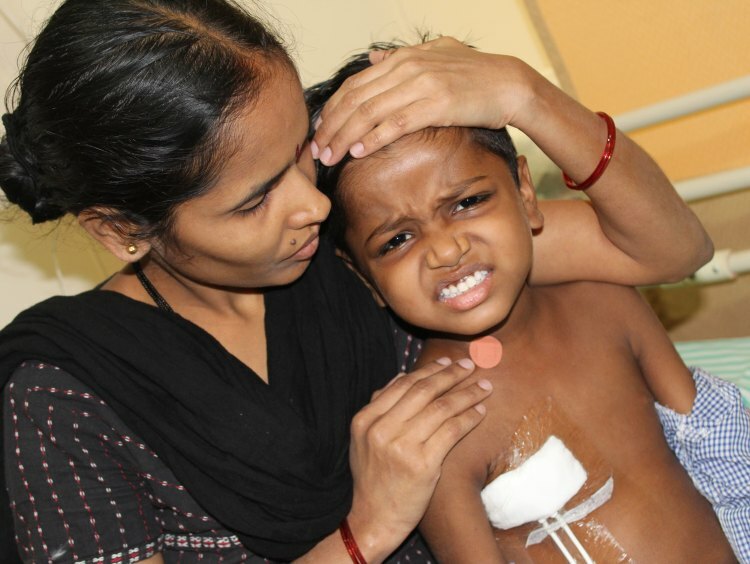 Owing to speedy treatment and the family’s resolve to save the two-year-old, Anvay survived and even beat cancer. Two years passed, and with this, the family believed that their woes were over. Just when they believed they were on the brink of happier times, the hopes fell flat. The cancer was back. This time, in the form of Acute Lymphoblastic Leukemia, and with a greater risk to the now 6 year-old’s life. “His 3-year-old brother visits the hospital to go through tests to verify if he can be a donor. While he enjoyed going to school and playing cricket with Abhay, Anvay doesn’t even talk to his younger brother. Abhay always asked us why his brother would fall asleep instead of playing with him? 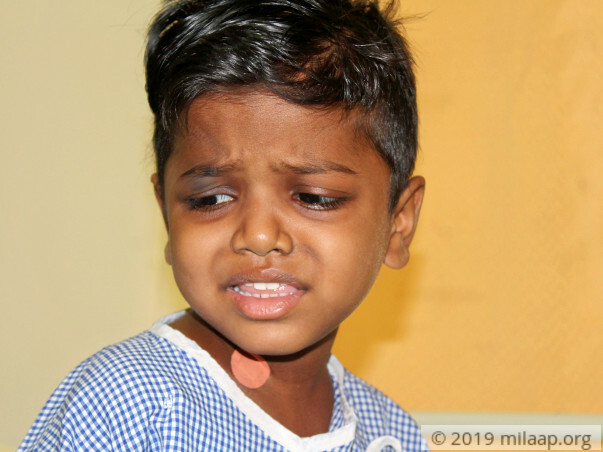 Now he tells the doctor “I’ll donate blood any number of times, I want to go to school with him again’.At this age where he’s supposed to be cheerful, he feels guilty for no fault of his. He thinks that the family is going through all this because of him,” says Hema, as she walks away to avoid crying in the presence of her kids. Swelling in the lymph node and vomiting were precursors to the relapse. 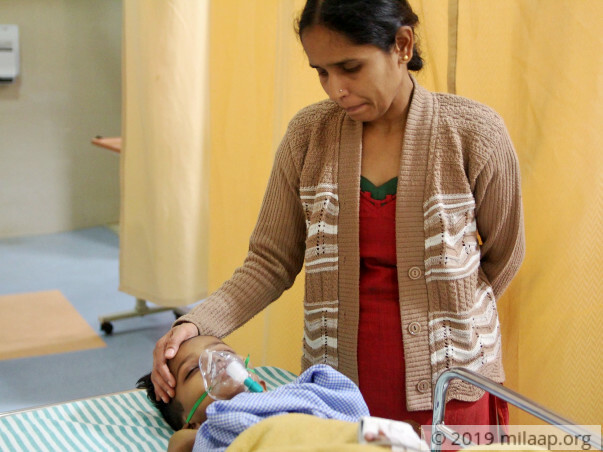 Constant cold and cough have impaired any chance of normalcy and Anvay is either too fatigued to talk or cries the whole day, with his mother’s presence the sole, momentary answer to his fears. The cancer is taking away his life, by the day, by the minute. But there is hope. 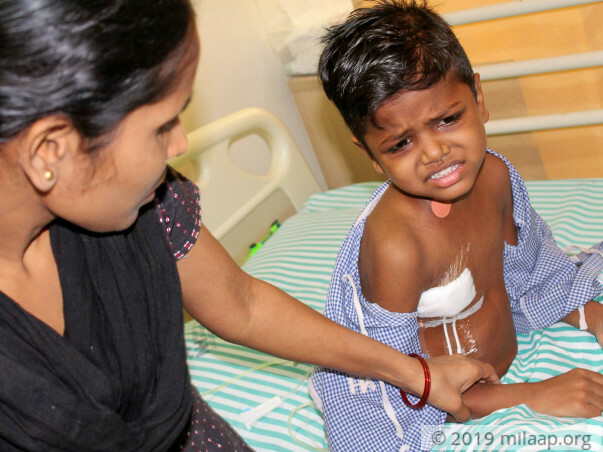 his brother Abhay is a 100 percent match and now, a Bone Marrow Transplant (BMT) can help the 6-year-old beat cancer. 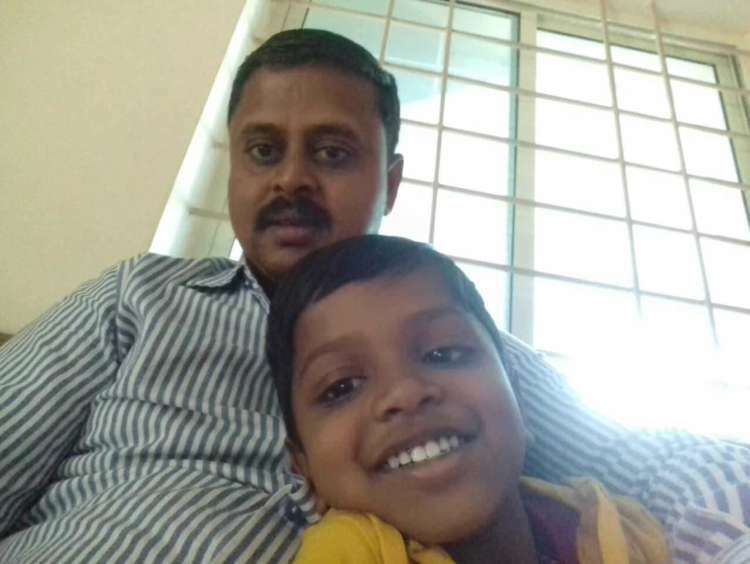 Raghavendra, the boy’s father, has spent more than 30 lakhs so far. The first-time Anvay was diagnosed with cancer, he sold his home, took loans from his employers and did everything he could. As a result of the loan deductions, he currently earns 1000 Rupees a month. Let alone paying another 30 lakhs, he might not be to repay the debts incurred so far, in this lifetime. 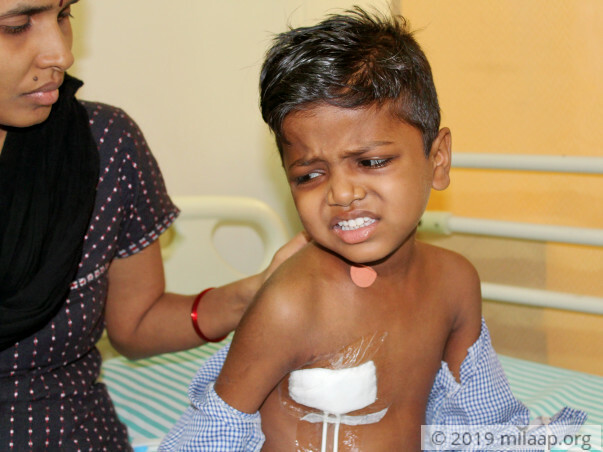 Anvay needs chemotherapy and a bone marrow transplant to survive. 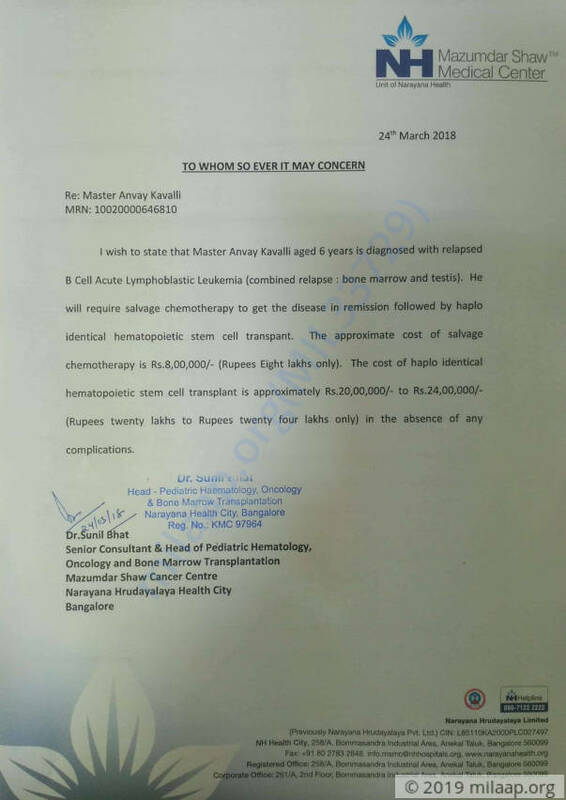 It’s his only chance to beat cancer for good, but Raghavendra and Hema have no means to afford 30 lakhs for his treatment. Despite their best efforts, all they can assure their son is moments of comfort. They need your help to give him the treatment he needs. Your support will help 6-year-old Anvay's fight against cancer. He is currently doing good and is at home. He is responding well to the treatment and recovering. He is on regular follow-ups with the doctor. The blood tests done are normal. Very thankful to all the donors and the support. Here's an quick update on Anvay. Anvay has successfully underwent his transplant. He is responding well to the treatment and recovering. He is on regular follow ups with the doctor. Anvay is now on post transplant follow up and is recovering well. His parents are very grateful for the support they have received from all donors. God will heal you Anav..